Home » Cigars 101 » What’s the best cigar lighter to buy? 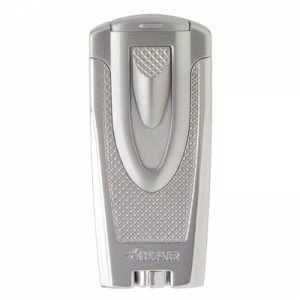 Finding the best cigar lighter is really personal preference. What you may think is the best lighter will certainly differ from cigar smoker to cigar smoker. Having smoked cigars for nearly 2 decades, I can tell you what features to look for in any cigar lighter, and what my personal favorite is. 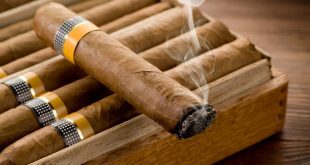 If you’re just getting started in cigar smoking, you’ve probably seen cigar deals being offered for new smokers, which includes 15 cheap cigars, a cheap flimsy humidor, rickety cigar cutter and a lighter with all kinds of cigar tools built into it – all for $29.95. Like anything else, buy the best you can afford. There are some fantastic cigar lighters available for around $50; you don’t need to spend hundreds of dollars on a lighter. Also, buy a cigar lighter, not some swiss army knife like tool with a bunch of stuff on it you’ll never use. New cigar smokers tend to over complicate the hobby; don’t make it more difficult than it needs to be. I wouldn’t recommend spending more than $100 on a lighter, in case you lose it at a herf. Can’t tell you how often I hear of friends misplacing their lighter. First of all, lighting a cigar requires a very hot flame. Think of all the tobacco rolled together, it’s almost 1 inch in diameter. Lighting this much tobacco can be challenging if you don’t have the right tool to do it with. You’ll want to find what’s called a torch lighter. This produces a flame that’s 2500F, whereas your standard flame from a Bic lighter or match is only 600-800F. Obviously this means you’re going to light up the cigar in less time. Some lighters come with either a dual or triple flame – that just means more coverage when lighting your cigar. You’ll also want something durable. A lot of cigar lighters out there are made cheaply, and tend to last less than a year under normal/regular use. Try to find a lighter that comes with a good warranty. There are some lighters which carry a lifetime warranty – that means it’s covered for as long as you own the device! Still, even with a lifetime warranty, you want something with a good track record. You don’t want to be sending it in every year for repairs. My personal favorite. Comes in several different colors to choose from. Costs around $40/ea, and will last many years! I’ve had mine for about 5 years, and use it regularly. Comes with a child proof locking mechanism. Even adults who have never used this lighter can’t figure out how to use it! Great feature. Huge fuel tank, so you can take it to several herfs without having to worry about filling it back up. Made in Japan by Blazer. 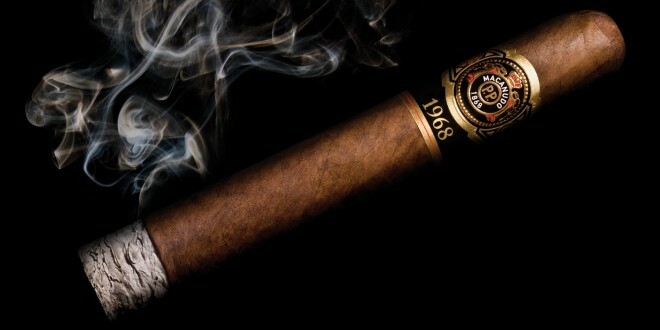 Another excellent choice for any cigar smoker. Made by Xikar, this lighter carries a lifetime warranty. If it ever breaks, send it back to Xikar, and they’ll fix or replace it for free. I personally used this lighter for many years, and it has proven to be very reliable. I still occasionally use it today. Fuel tank is much smaller than the Blazer, however it performs well every time. Feel heavy in the hand, with a beautiful fit and finish. Dual flame design ensures you can light your cigar even faster than the Blazer single flame Little Buddy. There are many excellent cigar lighters available, it comes down to personal preference when deciding which one is the best. Xikar and Blazer both make excellent products, and their quality along with fit and finish lend themselves to being excellent choices for their price range. 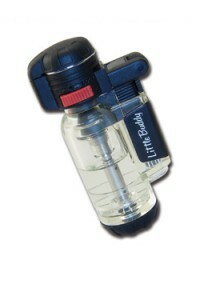 My personal favorite, every day cigar lighter is still the Blazer Little Buddy. If I want something that looks and feels more elegant, I reach for the Xikar Axia. I oftentimes choose the Blazer, simply because of it’s lightweight design and large fuel tank. Having tried many different types of lighters and brands over the years, I have settled on the two above cigar lighters as being the best. Of course, your experience may differ, however if you have no idea what to start with, you can’t go wrong with the Blazer or Xikar brand lighters. Of course you can always use the old wooden match for a reliable and cheap light.